Ending the decade-long run of Barcelona star Lionel Messi and Portugal legend Cristiano Ronaldo, the 63rd Ballon d’Or was won by Croatian captain Luka Modric who plays as a midfielder for Real Madrid. Modric beat Ronaldo, Frenchman Antoine Griezmann and another France World Cup winning member Kylian Mbappe, while Messi ranked fifth. Prominent among other contenders for the award, held in the French capital of Paris on Tuesday, were Mohamed Salah (Liverpool), Sergio Ramos (Real Madrid), and Luis Suarez (Barcelona). Luka Modric’s win proves last month’s Ballon d’Or 2018 winner list leak story true. 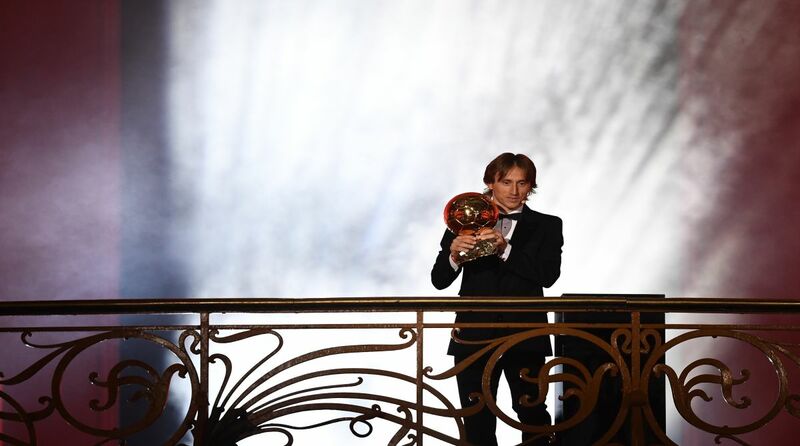 On November 28, Spain’s radio station Onda Cero had claimed that Luka Modric would lift the prestigious Golden Ball. It had also said Cristiano Ronaldo would finish second, followed by Frenchman Antoine Griezmann. Modric has already won UEFA Best Player of the Year award for 2018 as well as the Best FIFA Men’s Player Award.